I am interested in how historical and ecological processes act to shape the spatial and temporal distributions of biodiversity in freshwater and terrestrial environments. Much of my work has focused on 1) using molecular phylogeography and species delimitation to better understand population structure and history, species limits, and the role of historical biogeographical processes in shaping species distributions and community assembly in Neotropical biodiversity ‘hotspots’. 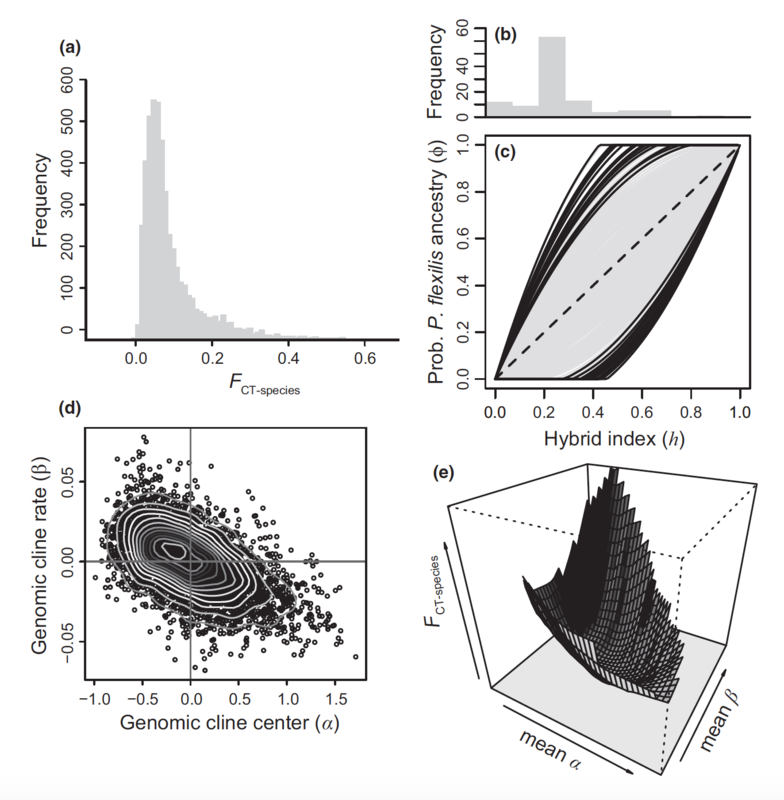 However, high-throughput sequencing methods and bioinformatics have advanced rapidly, providing tools that I have actively used during the last few years to improve my phylogeographic and phylogenetic inferences and expand my research into 2) disentangling the interplay between genetic drift, natural selection, and gene flow (hybridization) during speciation and local adaptation. This latter focus includes studying the ecological and genetic bases of adaptation to challenging environments and ecological gradients, and will contribute to future genome-wide association study (GWAS) approaches combining genomic and phenotypic datasets to understand the genetic architecture of ecologically important traits. Current projects focus on evolutionary and ecological genomics of North American and Neotropical freshwater fishes (tetras, catfishes, cichlids, and livebearers) and forest trees (white pines, quaking aspen, and Chilean pine). Within the Neotropics, I am mainly interested in uncovering drivers of biodiversity in the Mesoamerica (Central America) and Brazilian Cerrado biodiversity 'hotspots' (e.g. defined here). Click on the lower navigation bar above to quickly access different topics below. Phylogeography, the study of the geographical distributions of genetic lineages within and among closely related species, has assumed a central role in molecular ecology for inferring the historical and ecological processes influencing present-day biodiversity patterns. Along with collaborators from the U.S., Brazil, and Mexico, I have been involved in a number of projects using single-species and comparative (multispecies) phylogeography approaches to improve our understanding of the diversification, stability, and assembly of North American and Neotropical biotic communities. This work currently focuses on three intriguing systems that present different contexts for understanding evolutionary processes: 1) North American forest trees, and freshwater fish assemblages of the 2) Mesoamerica (Central America) and 3) Brazilian Cerrado biodiversity 'hotspots'. Here is a more in-depth look at my prior research in phylogeography. Understanding how barriers to gene flow arise, and new species boundaries are formed and maintained, is a central goal of evolutionary biology. 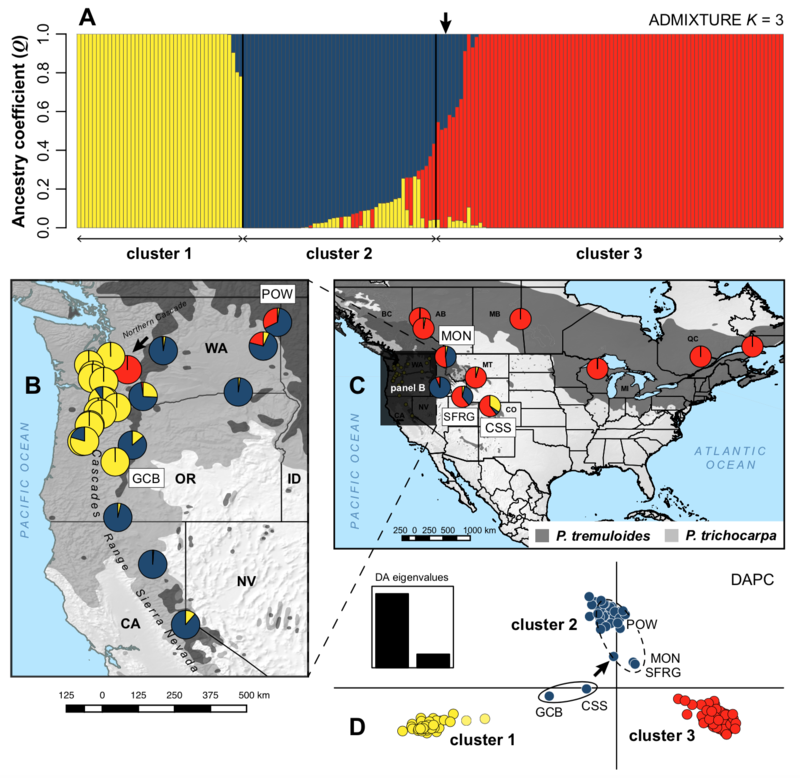 Yet, the study of 'speciation', presents numerous challenges and requires integrative perspectives taking into account geographical factors (biogeography) and range dynamics, niche evolution, reproductive isolation, as well as the evolution of neutral and adaptive genetic variation in the context of demographic history. I have become interested in the ways in which plant versus animal systems can reveal different aspects of the speciation process. Our current projects on southwestern white pine (Pinus strobiformis) highlight the role of hybridization and extrinsic factors during ecological speciation. We are also using genome scan and environmental association analyses to understand local adaptation to climatic gradients and challenging environments (high elevation) in this system, with important implications for understanding tree responses to climate change. By contrast, some Neotropical fish lineages that I have studied (e.g. livebearers; Poeciliidae) are more predisposed to speciation through intrinsic pre- or postmating isolation, and exhibit presumed niche conservatism but a high degree of phenotypic variation. I am eager to develop future projects expanding my speciation and adaptation work along these two avenues of research. My research in systematics and taxonomy primarily focuses on discovering and determining evolutionary relationships among species, and clarifying species limits, through analyses of DNA sequence data and morphological characters. Hypotheses of phylogenetic relationships are reconstructed based on broad taxon and character sampling using Bayesian inference analysis, relaxed molecular clocks, clock-partitioning schemes, and tip- and fossil-calibrated models (e.g. fossilized birth-death process). Our work also seeks to describe new biodiversity to improve biodiversity accounting. This work focuses on understanding diversification and the evolution of adaptive traits (e.g. 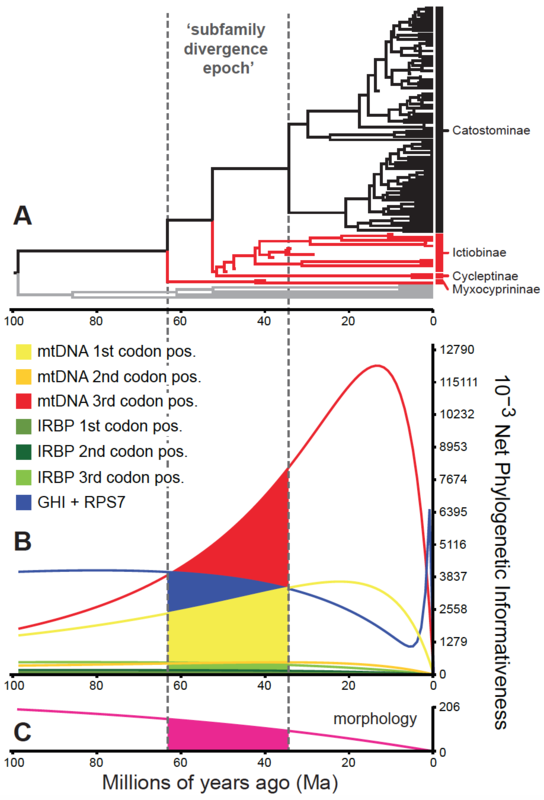 reproductive mode) in monophyletic clades of freshwater fishes, squamate reptiles, and pine trees. Recent papers focus on integrating molecules, morphology, and fossils to infer relationships among North American 'sucker' fishes (Catostomidae); and integrative taxonomy and species delimitation in Cerrado lizards. What follows is a slightly dated summary of projects I am involved in, as recently as 2017–2018, which I hope to find time to update soon.